There are few female photographers as fearless as the late British photographer Jo Spence. A leading feminist and socialist figure in her field, Spence’s work utilised the power of the camera to challenge society on issues of gender, class, mortality, identity, and, perhaps most importantly, her own history. Her first endeavour into the field was as an assistant, and then as a high-street photographer – which saw her shooting actor’s portfolios, wedding days and “cute children”. However, as she grew tired of this “ability to create visual myths”, as she called it, she turned the camera on herself, producing her most prominent work. Diagnosed with breast cancer in 1982 – although she refused to rank the disease as the most important thing in her life – it’s difficult to ignore the impact that the illness had on her work from then on. Her life story is epic – outlined in detail in her 1986 autobiography Putting Myself in the Picture – and her images intimate, diarist, honest, confronting and, more often than not, uncomfortable. Yet for Spence, this often grotesque documentation was a necessary journey in reclaiming her body from the illness. To do so, she shunned a mastectomy, as well as Western forms of cancer treatment such as radiotherapy and chemotherapy – which she compared to nuclear warfare for the body (“Eventually I began to see the body as a battlefield,” she said) – and instead turned to traditional Chinese medicine (TCM) for the physical side of the disease, and to phototherapy, a collaboration with fellow photographer Rosy Martin, for the emotional. A student of psychoanalysis, the latter became instrumental in Spence’s work that followed, adopting techniques from co-counselling, it allowed for a shift in the photographer-subject power dynamic, allowing the subject to take control of their own narrative, acting out their past histories, and ultimately seeing them confront such issues and, as Spence believed, to rewrite them. Even though the photographer would eventually triumph over her cancer, she would succumb to leukaemia in 1992, a decade after her cancer diagnosis. Though not commercially successful during her lifetime – she struggled with using other peoples’ images for personal gain and happily admitted to working part-time as a secretary to pay her bills – her work is today both critically acclaimed and respected. With her legacy living on through her collection, handed down to her ex-partner and fellow collaborator Terry Dennett after her death, a new exhibition, Jo Spence: A Survey, curated by Karsten Schubert, will feature works from these crucial years, including her self-explanatory The Final Project, tragically unfinished due to her passing. As we showcase an exclusive selection of Spence’s images ahead of the launch tomorrow, below, we chat with Niamh Coghlan, Gallery Director at Richard Saltoun, for more insight into the photographer’s seminal works. What factors did you account for when choosing the pieces to exhibit? Niamh Coghlan: We wanted to give a brief overview of her work and career, so selected works dating from 1979 up until her death. Her last body of work, The Final Project, remained unfinished on her death. Why is Jo Spence’s work so important? How does it stand out? Niamh Coghlan: Her work stands out for being so open: she was not ashamed nor scared of showing her body at its most vulnerable, naked and scarred from surgery the images are incredibly powerful. There has been a lot of interest in her work, work which can often be unsettling in its openness. It’s almost confrontational in it's openness. What triggered the change of her moving on from a high-street photographer to a more socially and politically aware one? Niamh Coghlan: Spence attended college in her mid-forties, attending the Regent Street Polytechnic from 1980 to 1982, and graduated with a first-class honours degree. A student of British photographer and conceptual artist, Victor Burgin, she had used of the camera as political and social tool since the mid-70s. In 1974, she and her partner at the time, Terry Dennett, founded the Photography Workshop. It produced exhibitions and functioned as an educational resource centre for other artists and members. One of its first projects was the creation of a network of documentary photographers, which led to the formation of the Hackney Flashers in 1975. The Hackney Flashers consisted of photographers dedicated to social and economic problems in East London, specifically related to gender and the role of women in and outside the home. How did her cancer diagnosis impact on her work? Niamh Coghlan: Her illness highlighted the inadequacies of the public health system, where she felt the patient was treated as an object rather than a person. It was this that sparked her series, The Picture of Health?, where she documented the physical changes to her body and the various alternative health treatments she experienced with. 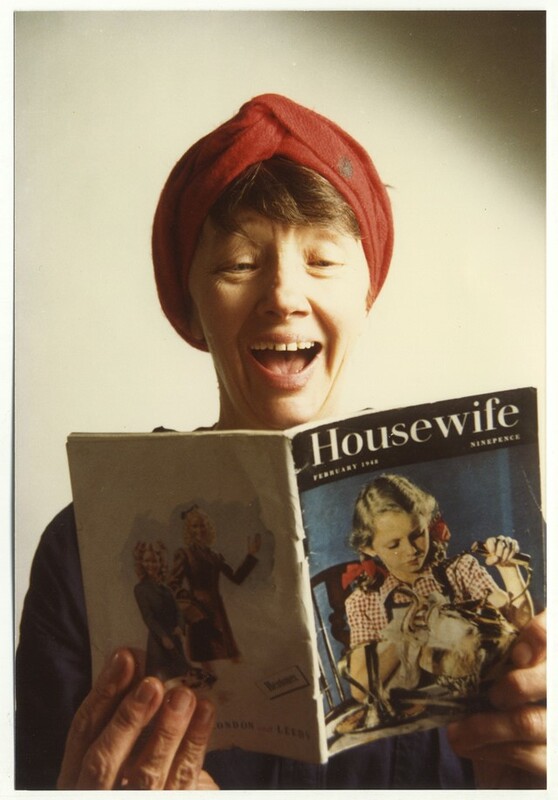 Jo states in her 1986 autobiography Putting Myself In the Picture (published through Camden Press) that, "Through photo therapy, I was able to explore how I felt about my powerlessness as a patient, my relationship to doctors and nurses, my infantilisation whilst being managed and 'processed' within a state institution, and my memories of my parents". What has been her most lasting impact on photography? Niamh Coghlan: A proponent of collective photography, she revolutionized self-portraiture, famously establishing photo therapy, a discipline that used the camera as a tool to reflect on issues of society, class, gender, death and body politics.